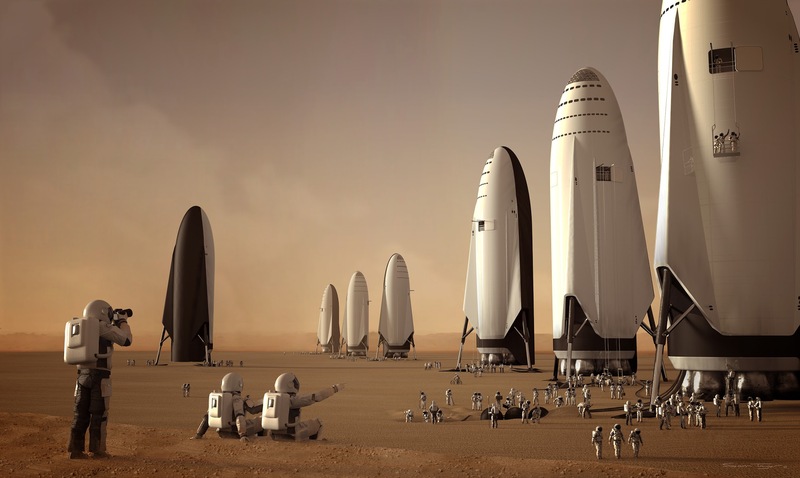 Picture of the Day 16/9/2017 - a fleet of SpaceX Interplanetary Transport System (ITS) spaceships has landed on Mars; a vision by digital artist Sam Taylor. Note the astronauts are already digging some systems (ISRU components? super-small modular nuclear reactors?) 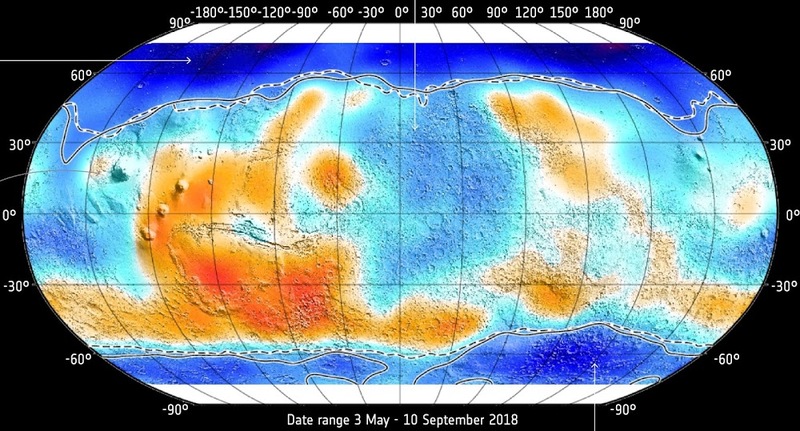 under the layer of Martian regolith.